Background. To investigate the pharmacological basis of systemic side effects of ophthalmic timolol, we estimated the systemic bioavailability of 0.5% timolol eyedrops and compared cardiopulmonary effects of intravenous and ophthalmic timolol. Methods. In a randomized crossover study we administered 0.2 mg timolol either intravenously or ocularly to eight healthy volunteers. After drug administration we measured heart rate, arterial blood pressure, forced expiratory volume in 1 s, forced vital capacity, and intraocular pressure (IOP). Plasma timolol concentrations were determined using a beta-adrenoceptor binding assay. Results. The peak concentration of ophthalmic timolol in plasma, (Cmax=1.14±0.34 ng/ml, mean±SD, n=8) was measured in most subjects within 15 min after drug administration. The mean area under the curve from zero to infinitum (AUC0– ∞) was 6.46±2.49 ng/ml per hour after intravenous and 4.78±1.90 ng/ml per hour (means±SD, n=8) after ocular administration. The systemic bioavailability (F) of the eyedrop was 78.0±24.5% (mean±SD, n=8). Heart rate, arterial blood pressure, and pulmonary functions were similar after intravenous and ocular timolol administration, whereas IOP was lowered more effectively by the ophthalmic than the intravenous dose. Conclusions. 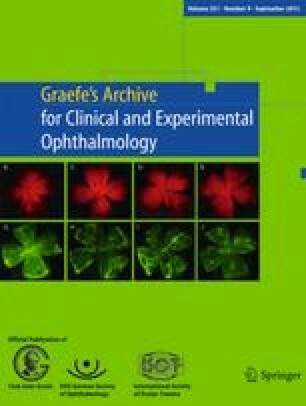 Ophthalmic timolol resembled intravenous timolol in terms of systemic bioavailability, plasma kinetics, and cardiopulmonary effects. Clinicians should pay attention to the high systemic bioavailability of ophthalmic timolol, because intensive systemic beta-blockade can be highly hazardous to aged patients suffering from cardiopulmonary diseases.